We are told that we should reduce our sugar intake by medical professionals on a constant basis. Doctors extol the benefits of a low sugar diet the way a teacher extols the virtues of book reading. And it seems easy enough to do, right? It is easy to see where sugar is in our diets. It is in candy bars. In carbonated beverages. In ice cream. In cake. It is very obvious to everyone what sugar is and where it is located. The problem is that this is a wrong understanding of sugar and where it is hiding in our diets. It is not always in the most obvious of places. Sugar is your teeth's enemy. The bacteria that thrive in your mouth have sugar listed as their favorite dining option. The bacteria feeds on the sugar that hides in the crevices of your mouth. The waste the bacteria leave is in the form of acid, and this acid eats away at the enamel of your teeth. This causes bad breath and decay. Obviously, this is not what we all want for our teeth, right? 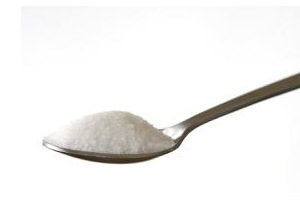 What if we told you that many of the foods you eat on a daily basis are loaded with sugar. Most packaged foods that do not even seem like they should have sugar in them. Take ketchup, for example. Most do not think of the sweetness of the popular French fry accompaniment, but it is there, often a teaspoon a serving. Bread is another one that might be surprising. Typically, two slices contain six grams of sugar. One sugar-heavy food that may seem obvious to those in the know is fruit-flavored yogurt. It seems innocent enough (how bad can fruit be, after all), but some kinds are crammed with a whopping twenty-eight grams of sugar per serving. We know that you know too much sugar is bad for your waistline and for your teeth. We are here to help to learn which sugar heavy foods to avoid!